Tripleblaze.com was created to be the online starting place for your camping and hiking adventures. Much like a "triple blaze" marks the start of a trail, this website has all the information you need to start planning your next camping or hiking trip. With the best campgrounds and top hiking trails in the country, you'll want to visit them all. There are hundreds of reviews and photos of campgrounds and hiking trails to help you choose your next place to camp or hike; plus, you can keep track of those places you want to visit with a Campground or Hiking Trail Wishlist. Can't get enough of camping and hiking? Check out our outdoor gear reviews for camping tents, backpacks, hiking boots and other equipment you'll need for your next trip. For the more serious camper or hiker, find backpacking trails and detailed maps of the Appalachian Trail (coming soon!). 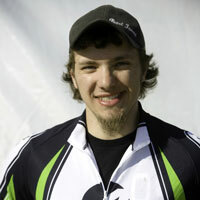 Jeff is the creator of TripleBlaze.com and an avid outdoor enthusiast. Jeff has been camping for over 17 years and is an Eagle Scout with serious outdoor experience. As an instructor at Camp Linwood Hayne in Augusta, GA, Jeff taught camping, cooking, and wilderness survival merit badges to Boy Scouts from Georgia and South Carolina. 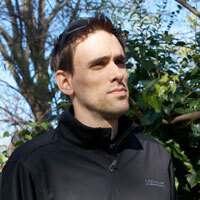 In addition, Jeff is an experienced mountain biker and enjoys running and hiking. 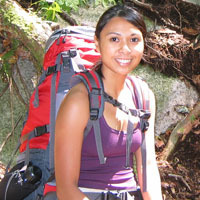 Leah leads the marketing efforts for Tripleblaze.com and loves all outdoor activities. Leah has camped and hiked all over North Carolina, California, Colorado, and Georgia; has ridden over 100 mountain bike trails across the country and runs marathons. If you would like to contact any of us, click here.